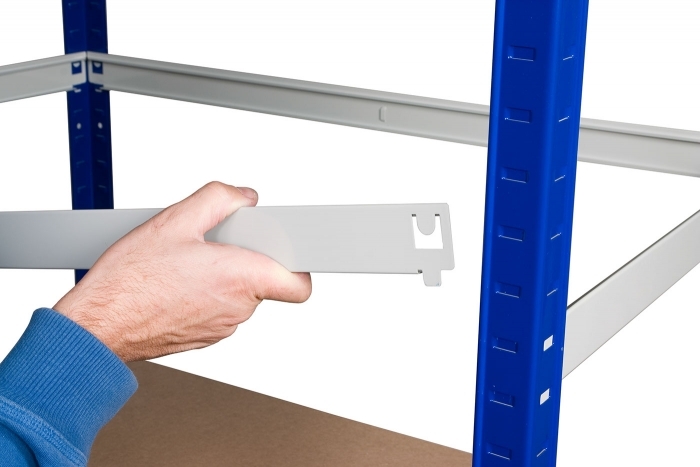 Our new clicka steel shelving system is simple to erect yet has all the strength you are likely to need from your warehouse shelving. 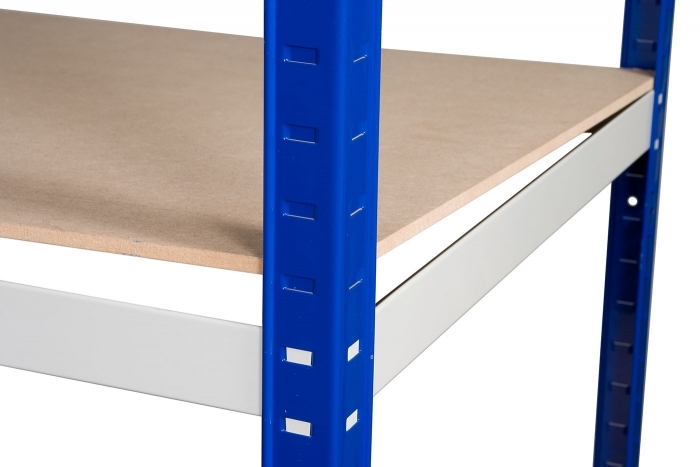 Made in Europe and tested to the highest standards, the bays come with MDF decking which offers a smooth and hard wearing finish, strong uprights and beam profiles, all with a high quality paint finish. 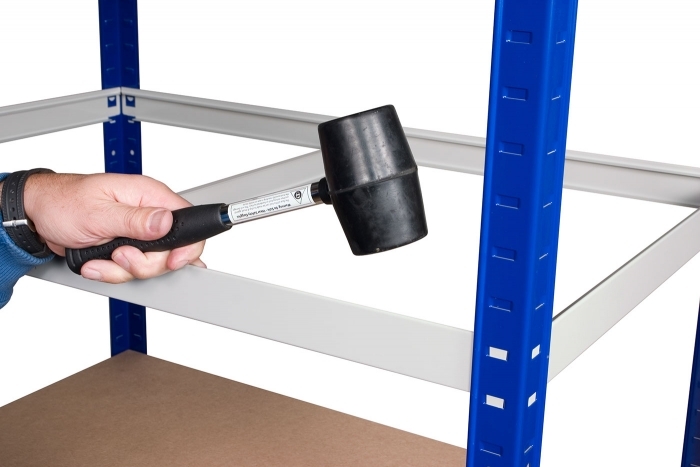 No tools are needed and with the average time to assemble a bay being just 10 minutes, you will be amazed how easy it is to create massive storage areas. 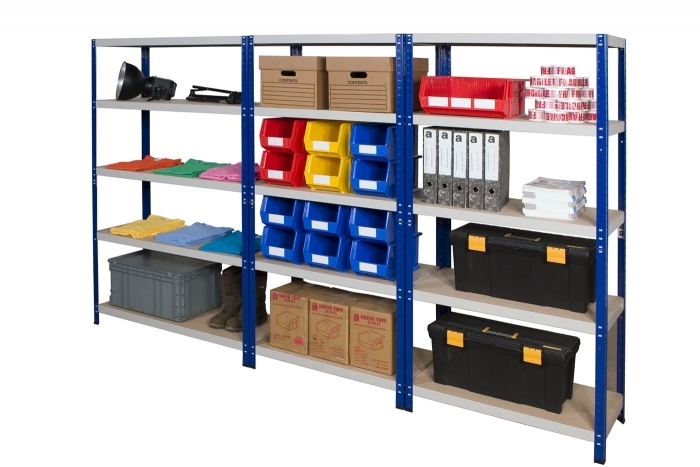 It is also very versatile steel shelving with a range of sizes to suit any size of space or product to be stored, which makes it ideal for home, garage, office or storerooms. 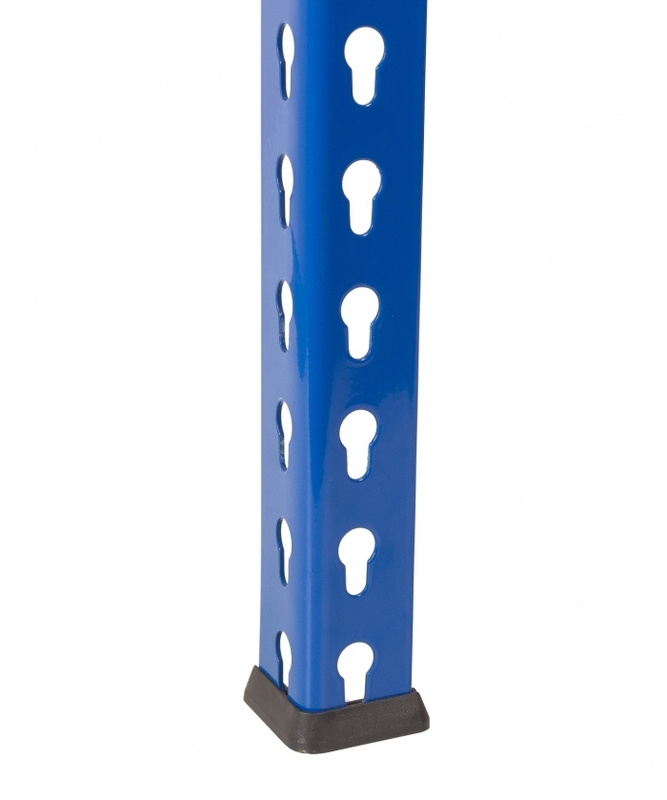 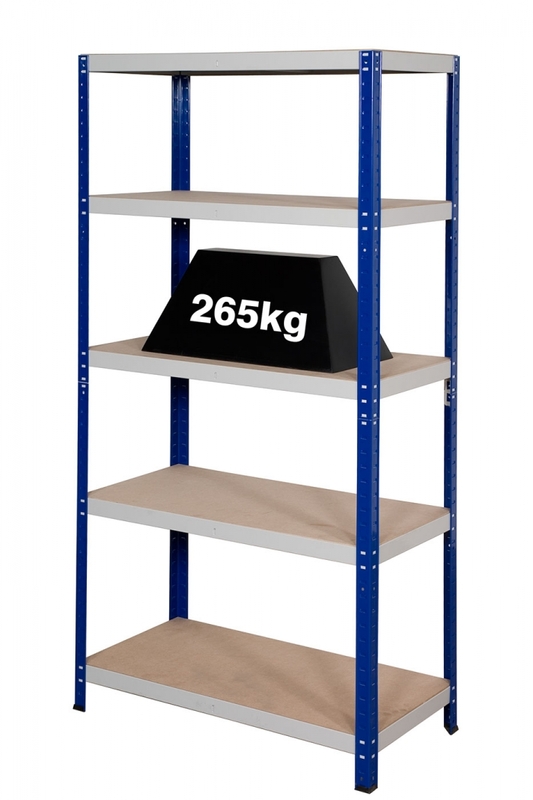 Each of the 5 shelves you receive has a shelf load of 265 KG UDL. 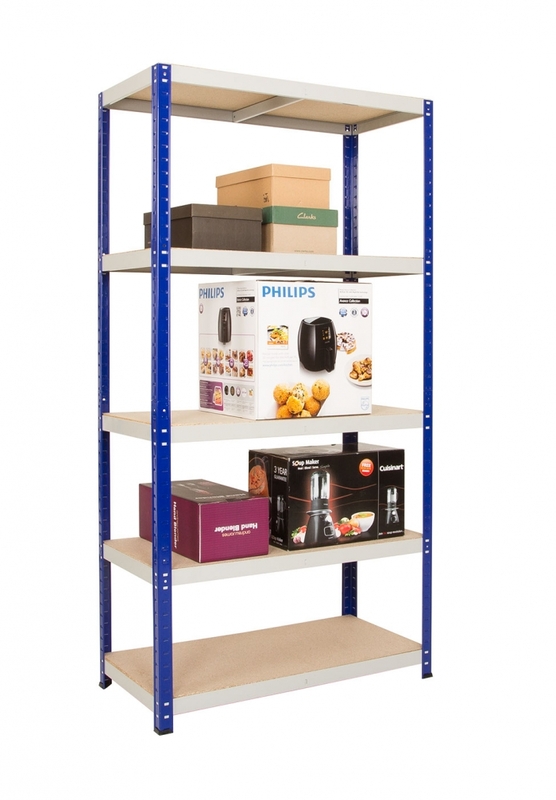 1770mm (H) x 900mm (W) x 300mm (D). 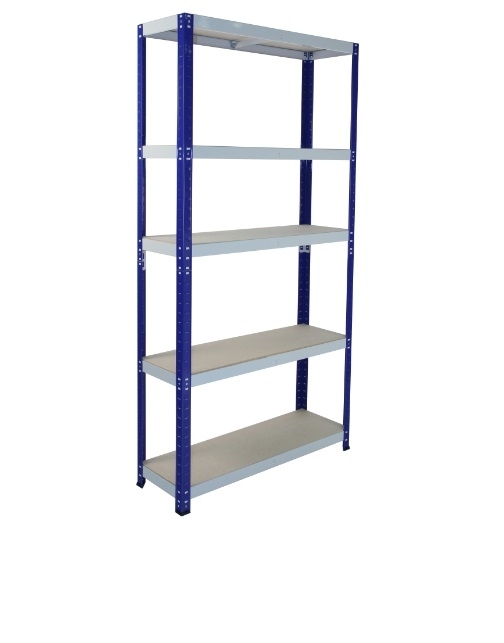 Blue uprights and grey shelves.